Hauck, Rachel. The Wedding Shop. Grand Rapids, MI: Zondervan. 2016. 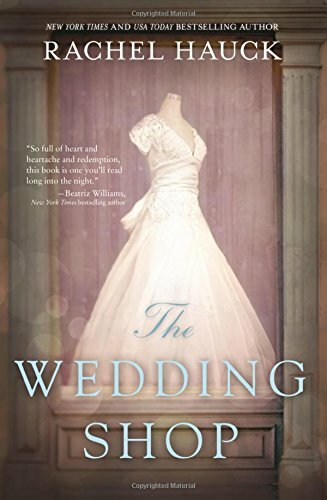 Having read the previous two novels by author Rachel Hauck, The Wedding Dress and The Wedding Chapel, as well as The Royal Wedding Series, of course, I was going to read this one. With a well written novel, including a creative storyline, a faith-filled story, clean romance, and timeless characters, I enjoyed it as much as expected. Easily read yet with a deeper message, Rachel Hauck reminds us to follow our dreams and trust in God for His will. Hauck, Rachel. The Wedding Chapel. Grand Rapids, MI: Zondervan Publishing. 2015. Although it took a bit for me to connect with this story, perhaps due to the preconceived notion that it may be more like Rachel Hauck’s previous fairy-tale type stories, eventually it flowed handsomely and quite delicately for me. An emotionally balanced novel, the changing of the point-of-view between the four characters, as well as the shifting of times from past to present, worked well once I grew to know the characters. Definitely a favorite author of mine, I appreciate the varied direction of her work along with the alluring cover. Hauck, Rachel Hayes. How to Catch a Prince: The Royal Wedding Series. Grand Rapids, MI: Zondervan Publishing. 2015. 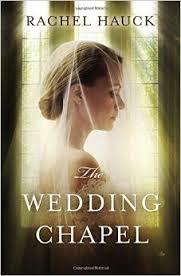 As the final story to The Royal Wedding Series, I was anxious to read this book. Though different than I originally was expecting, I enjoyed it. Full of “princessy-goodness” yet deeper emotions, messages and faith, it was a wonderful ending to the series. With a message of “love well” running throughout and perhaps a bit of fairy-dust included, I loved this novel from the beautiful, sassy cover to the last word. Though book 3 in the series, previous characters were revisited but How to Catch a Prince works well as a stand alone also. Without a next book to anticipate from this series, I hope Rachel Hauck is busy working on a new series…perhaps just as sparkly? Hauck, Rachel. A March Bride. Grand Rapids, MI: Zondervan. 2014. Royalty Nathaniel II (of Brighton Kingdom) and Susanna Truitt (of Rib Shack BBQ, Georgia) are set to be married in just under three weeks. Due to an ancient decree still being enforced, Susanna must resign from her United States citizenship in order to serve as Princess of Brighton. Having already given up her home to join Nathaniel in Brighton as well as leaving her family, Susanna struggles with this latest necessary writ. While talking to her Pastor back at home in America, Susanna realizes her identity may be for more than her own use, it may be to serve God. Will Nathaniel and Susanna finally join as King and Princess of Brighton Kingdom? 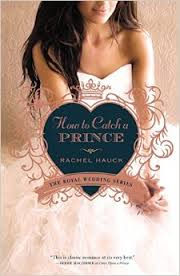 Having recently read Once Upon a Prince by Rachel Hauck, I was very surprised and excited to read this continuing novella containing the same characters. As a fan of this author, I knew I was in for a treat…especially as it concerned an already-known princess! Though not necessary to read the books in order, it definitely makes for a more interlinked story if the characters are met in Once Upon a Prince and A Princess Ever After. 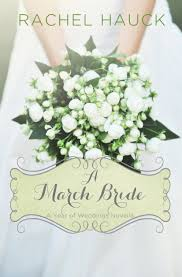 Perhaps due to my fairy-tale bias, this novella was my favorite so far contained in A Year of Wedding Novellas. Hauck, Rachel. Princess Ever After: Royal Wedding Series. Grand Rapids, MI: Zondervan. 2014. Having just left her job with an accounting firm to open her own classic car restoration business, Reggie Beswick is stunned to find out she may truly be a princess…not just any princess but Princess Regina Alice Beswick Augustine-Saxon of Hessenberg. Regina soon finds that the ancient nation of Hessenberg relies on her believing who she was born to be while her heart must decide where her loyalties lie. With humor, grace, faith and her grandmother’s hand-painted book of fairytales, Regina finds her happily-ever-after in the most unusual ways. 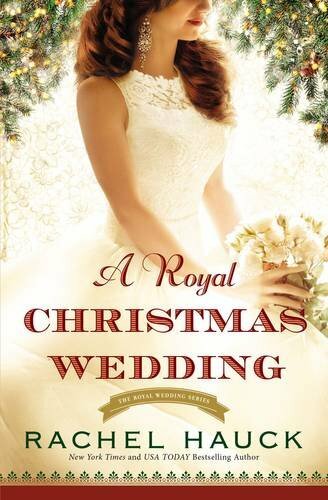 Having read the first book in the Royal Wedding Series-Once Upon A Prince, I was anticipating the next book…much to my delight, I enjoyed this faith-filled fairytale just as equally. 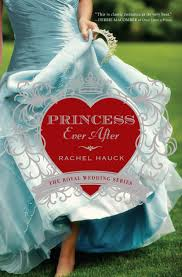 Rachel Hauck did a wonderful job of combining modern-life with ancient-life, contemporary problems with past politics, reality with imagination, non-beliefs with grace and prayers, and of course, just good-old-fashioned princess fluff. I only hope the author continues with this series!